Earthquake Shopping Anyone? – C'est la Vie Baby! Yes I very well remember the beating Lenskart.com got over its earthquake shopping campaign. But believe me, this article is nothing like that. Its much more important. read on. Last week, I was just trying to bake a cake. The moment I cracked an egg, I felt dizzy in the head and the world swung back and forth. I wondered why cracking an egg was having such an effect. The next moment, I grabbed both my sons and ran out the door. It was just a harmless tremor. But a couple of hundred miles away….half of Nepal had fallen! The tragedy in Nepal once again brought us head on with the realization of how very vulnerable we are to the wrath of nature. That no matter how mammoth our achievements and breakthroughs in technology, we are but a figment of the universe, an ever so fragile, ever so easily dispensable component. Here’s the truth. Every time a tragedy as such happens, we feel scared at first. Then we feel lucky we were spared and sorry for those who weren’t. We fear for our safety in the future and plan to do something about it. But time passes and we forget about it again. It’s human nature. We always hear about such things in the news and feel terrible but think that it won’t happen to us. Not my city, not my home. That’s what we tell ourselves. And hope and pray we are right. Well, hopes and prayers aren’t enough! Preparation. That’s what you need. I can recount a hundred steps that governments can take to ensure minimum damage during earthquakes, flash floods and other calamities. But seriously, what’s the point of that! Let’s just skip that already. Let’s instead focus on what we as individuals can do to ensure our safety. Or rather, increase our chances of survival. Do you have a go-bag yet? This is by far the most important thing you must do without further delay. It’s the first thing they’ll teach you in disaster management class. 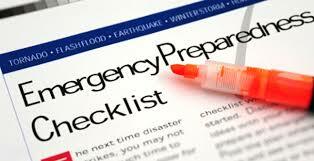 Always, ALWAYS have a go-bag or an emergency evacuation bag ready. Its usability in an earthquake may be debatable, but in floods and many other situations, it can be a life saver. Here are some links to websites that give you immensely valuable and keenly detailed checklists of items to have in your go-bag and other things you need to know. Do visit these and other websites Google will happily pull up for you, and make a go-bag today. Believe me, I already did! Food! Stock up on energy bars and other high energy, low volume, easy to prepare foods that have a very long shelf life. Keep at least enough for three days. If you have a baby, do stock up baby food too. This one’s a little tough. You want to keep your go-bag light and yet, water can be heavy. Play a balancing act here and keep at least a bottle or more. Make sure to choose a sealed bottle with long shelf life. Flashlight with extra batteries. Match box and large candles too as backup. A small, portable radio for news updates. Again, extra batteries if needed. If you are on any specifically, stock up on those. Do keep some antibiotics, pain-killers and pediatric medicines at all times. Sanitation items, tissues, wipes and hand sanitizer. A cellphone. Choose the basic models that have long battery lives and less features to consume battery. Do keep a charger but remember it may not help if there’s a blackout. Keep an extra battery. A list of important phone numbers. Not the list you store on the phone. Keep a hard copy. A Swiss knife or similar multipurpose tool. Extra cash. Do keep coins in case you need any. Copies of essential documents. Id proofs, passports, medical records if any, birth certificates, insurance etc. Raincoats, blankets etc. Choose good quality ones that are thin, foldable, portable yet warm and strong. Trust me, this is the one time you really need quality like your life depends on it. Extra set of car and house keys. Do remember your family’s specific needs. Medication, extra pair of glasses, syringes, hearing aids etc. Yes, invest in buying an extra of everything crucial. Take extra care if you have a baby or a senior. If you have a small baby, do keep a strap-on baby carrier in case you need to walk long distances or get air-lifted. Also watch out for seasons and keep warm apparel or hand fans as necessary. Also throw in some sunscreen and lip balm because, well why not! Check on your bag at least twice a year. Replace expired medicine and food. Charge/change batteries. And yes, hope that the only time you need to open that bag is when you are checking on it. Also, it’s not a go-bag if you can’t grab it as you go. So keep it right next to your door in, rather on, the shoe cabinet or any place that is so accessible that you don’t waste a second. And I repeat, please get on Google and read more about this. You can never be too prepared. You may come across an item I missed including but is far more crucial to your needs. Its also a good idea to keep your car full on fuel at all times. Again, because you never know. Don’t be afraid to talk about it. ‘Shubh shubh bolo’ may not be the mantra anymore. You must use your sensible imagination to think about what might happen and how you would deal with it. Talk to your kids about it. Explain. Map out a communication plan, a meeting place or a contact route. Did you know that in case of a disaster, your chances of connecting with an STD number are better than a local number as the local lines are more likely to be jammed due to high volume, or out of service. So designate an emergency contact in a different state, a parent or relative, whom you can all call to coordinate. Do you have a place to hide? Remember the first piece of advice we have all given and been given at some point or the other, about what to do in an earthquake? Yes, that one. Duck under a strong, sturdy piece of furniture. A hardwood table or strong bed. Well, now think about it. How hard is your hardwood table? If you have one that is. Most of our coffee tables and dining tables are glass these days, study table if any, may be wood, but really, I’m not so confident about them being strong enough. Lightweight and portable are the new buzzwords remember? And bed? Oh well, not an inch under them to duck under. Most of us have those box beds that serve as excellent storage. So what are you going to do? Well, please, please buy some real strong furniture, or even better, have something made to order. Have at least one big table or small bed that is actually rockstrong. Replace your storage box beds with strong, thick wood flat beds with legs and empty space underneath. A sturdy bed with mattresses on top can really protect you from falling debris better than most other things. Or at least have a table built. One that can shelter all or most of your family members. Keep it in the room that is most used and easily accessible. When you feel the ground shaking violently and don’t have the time to run out, get in there. However, there are right and wrong ways to duck and cover. Do read this. If you must run out, try to grab a pillow or book over your head. But only try, don’t waste time if its not handy. Most importantly, don’t panic. Well, actually, do panic, but not as much to lose your good sense. Now is when you need to think quick and act quicker. Never ever lock another person in the house. Period. Even on your most leisurely day, if your partner is sleeping and you don’t want to disturb her/him as you step out for a while, even a small while, do not lock them in, unless it’s a two way openable door. 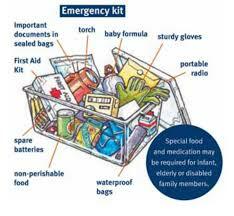 Always remember there could be a fire or earthquake or one of those terrible things, and they may need to run out. Never underestimate the slightest tremor or warning. What’s the harm in running out anyway? Sleeping in one’s birthday suit has its benefits. But try sleeping in something you don’t mind running out in. Or keep a robe close by. Let’s face it, these disasters are happening now more than ever. And no one is immune to them. So be prepared, and yes, live your everyday to the fullest. Damn it! That is such a cliché. Well, C’est la Vie Baby! Stay safe. Oh yes! I reckon the incident ‘rocked’ (forgive the pun!) all of us. Perhaps because it was too close to home. A very timely and apt post, Mamta. C’est la vie, indeed! Yep. If i start thinking about it, i still get tricked into feeling a tremor 🙂 thanks for coming. Some really valuable advice there, you have convinced me for sure. When the time is right….you’ll understand. When life gives you lemons, squeeze their bloody pips out, stick 'em in the dirt and then wait for a tree to grow. Why? Lifetime supply of lemonade. Wallah! Blog at WordPress.com. C'est la Vie Baby!